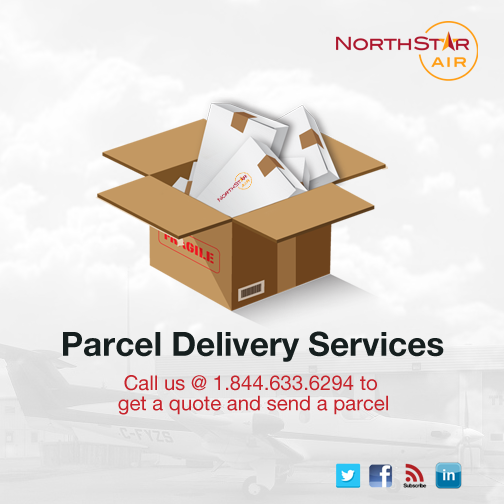 North Star Air ships small parcels and envelopes by air throughout our Flex Flight networks. This service is available for small parcels that weigh up to 16 lbs at a flat rate of $20.00 (HST included). Envelopes weighing less than 5 lbs can be shipped at a flat rate of $10.00 (HST included). If it's over 16 lbs the shipping rate is $1.25 (HST included) per pound. For more information, please contact reservations @ 1.844.633.6294.